Has your niche job board ever received a call/email from an advertiser notifying you they are discontinuing advertising on your job board because the number of applications are lower than what they received on another site, aka Indeed. And for successful job boards, you understand quality applications are more important than quantity. So, what can your niche job board do to compete and deliver results for your clients? 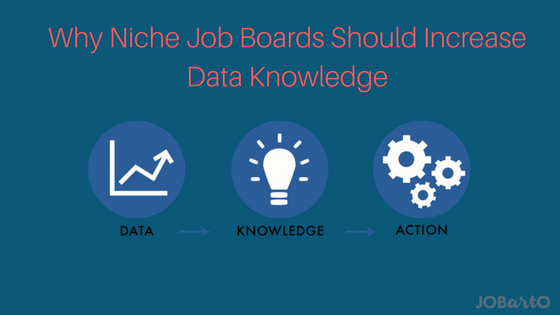 Here are reasons why your job board should be dedicated to increasing your data knowledge. Why do advertisers use your job board? To hire, right! Let’s address a key fundamental point before we continue any further. Our philosophy is advertisers are paying money to use your job board because they want to hire candidate(s). Can we agree, this would be difficult! We understand that majority of employers elect to direct the candidate traffic to their corporate site and apply through their applicant traffic system (ATS). 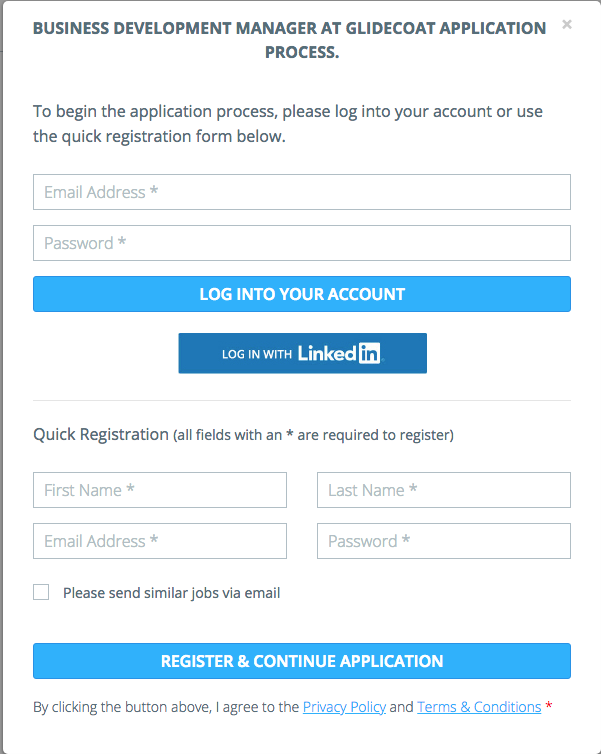 And, majority of job boards only track the number of times the application button was clicked. But, if you are the hiring manager, that number doesn’t tell you much. Only ten people visited the site. So, if we understand, quality applications are more important than quantity, why don’t niche job boards provide more information than the number of applications? And, our answer is, you should require candidates to register on your job board before they are directed to an external site. Our approach at JOBartO to require a candidate to log into their account or use the quick registration when attempting to apply for a job. Why candidates should register on your job board to apply for a job? As you can imagine, providing this type of information is more helpful to the hiring manager when evaluating the effectiveness of the campaign. We routinely speak with niche job board owners, who mention 85-90% of their job application traffic are directed to an external site (ATS) and do not require any registration. Therefore, most of your competition and probably your job board, are allowing 85-90% of your hard earned traffic leaving your job board without capturing any information. To us, that is a huge lost opportunity. By requiring candidates to register, your job board can continually add new users to the site, provide more in-depth data to advertisers and candidates to your on-going marketing initiatives to drive them back to the site. 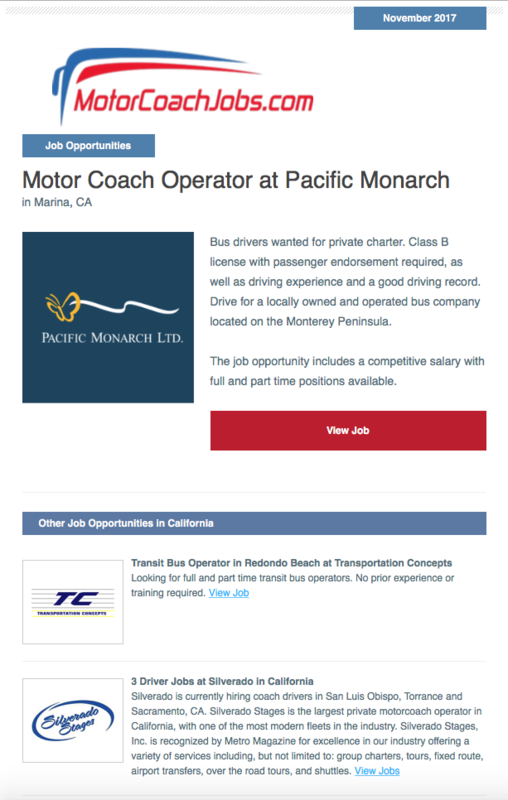 As an example, one of our clients; Motor Coach Jobs, understands the holy grail in their industry is to find candidates that have a CDL Class A or B license with passenger endorsement. 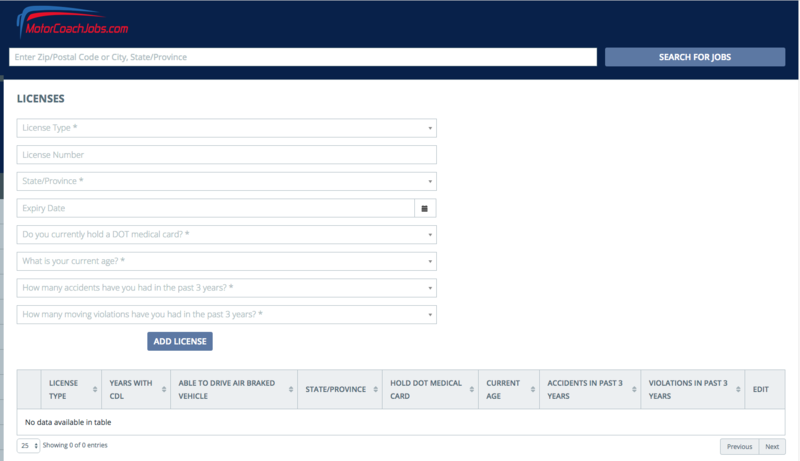 Therefore, by knowing this of their market, we customized the Licenses section within the jobseeker dashboard to ask questions specific to their industry. As you are aware, employers are looking for the simplest and most effective way to generate quality applications. Still today, majority of niche job boards heavily rely on job postings to generate those applications. Search your database for the ideal candidate profile (based on location, work experience, skills, license(s), education, registration date, etc). Personalize the message to the candidates – The hiring company may want to feature their culture, benefits, upcoming events, etc. Below, I have included an example of a targeted email campaign to a specific region in California. One of the reasons we strongly suggest our clients to use utilize several services on their job board is to demonstrate the effectiveness of delivering a quality audience and increase your sales. Over time, by deploying targeted email and SMS campaigns, you can track the effectiveness of the campaigns and ultimately use to your advantage to share with advertisers. Case in point, an advertiser has contacted you about posting a job on your site. And, to provide you with a frame of reference, as the Job Board Doctor, routinely documents in the annual job board survey, approximately less than 10% of niche job boards offer Targeted Email Campaigns, let alone email and SMS. Competitive advantage for you! Delivering quality applications is the life line of your niche job board business. And, positioning your site to capture registration data to add into your on-going marketing campaigns, will have a positive affect. By continually keeping your advertisers in mind and how to solve their issues of reaching qualified candidates, your business can continue to prosper. Begin testing on your end with capturing more data to see the results. Which data is most important in your industry?